Actress and activist Yara Shahidi will receive the GLSEN Gamechanger Award. Yara will be recognized for her contributions to girls education with the Young Women’s Leadership Network and the Let Girls Learn initiative and advocating for gender parity in the STEM field. 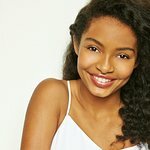 Breakout star of ABC’s “Black-ish,” Shahidi currently stars on Freeform’s hit series “Grown-ish.” Politically engaged and purpose driven, the young star launched Eighteen x ‘18, a platform to educate first time voters for upcoming midterms and beyond. She has been highlighted on TIME Magazine’s annual 30 Most Influential Teens and Forbes lists and is certainly one of Hollywood’s most heralded young talents. Will & Grace creators Max Mutchnick and David Kohan will be honored with the GLSEN Champion Award for their impact on the media landscape and LGBTQ portrayals in Television. Will & Grace, launched in 1998, was the first sitcom to feature two gay male lead characters and ran for 8 seasons. It returned to record-breaking ratings on NBC in the fall of 2017 and was quickly renewed for two more seasons. The show’s impact is undeniable, with fans like Vice President Joe Biden pointing to its positive role in expanding LGBTQ rights over the last twenty years. Actress, producer, and activist, Ellen Pompeo will receive the GLSEN Inspiration Award. Ellen’s support of young people and education causes includes work with Baby2Bay, Children’s Defense Fund, and Lifeworks. She’s supported the LGBTQ community on numerous issues, including marriage equality and protecting trans students in schools. And her recent work with #TIMESUP and speaking out on pay equity around her starring role in Grey’s Anatomy broke boundaries and changed the conversation in Hollywood. Twentieth Century Fox Film will receive the GLSEN Visionary Award for the studio’s leadership in diverse filmmaking and LGBTQ characters, and the award will be accepted by Fox 2000 President, Elizabeth Gabler. Fox 2000’s recent release, Love, Simon, featured the first LGBTQ lead teenage character in a studio film as it brought to life the ideal that everyone deserves a great love story. Fox 2000 worked with GLSEN on a number of educational initiatives and charitable endeavors in advance of the release. Twentieth Century Fox Film’s long history of innovative stories, diverse storytelling and LGBTQ characters includes Oscar-winner Boys Don’t Cry, The Family Stone, Myra Breckenridge, Making Love, The Rocky Horror Picture Show, and others. Recent films like Battle of the Sexes, Deadpool 2, Hidden Figures, Oscar-winner The Shape of Water, Fox 2000’s Love, Simon and the upcoming Fox 2000 release The Hate U Give continue this commitment to LGBTQ and diverse characters. Elizabeth Gabler, President, Fox 2000 Pictures, will accept the award on October 19th. The Honorary Co-Chairs for this year’s GLSEN Respect Awards include Greg Berlanti & Robbie Rogers, Jessica Biel & Justin Timberlake, Matt Bomer & Simon Halls, Bruce Bozzi & Bryan Lourd, Jess Cagle & Matt Whitney, Connor Franta, Bob Greenblatt, Marilyn & Jeffrey Katzenberg, Jim Parsons & Todd Spiewak and Julia Roberts & Danny Moder. The GLSEN Respect Awards, introduced in 2004 and held annually in Los Angeles and New York, showcase the work of students, educators, community leaders, and corporations who serve as exemplary role models and have made a significant impact on the lives of lesbian, gay, bisexual, transgender, queer, and questioning (LGBTQ) youth. 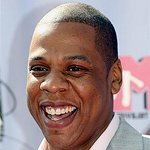 Past honorees include Kerry Washington; Jessica Biel and Justin Timberlake; Marilyn & Jeffrey Katzenberg, Julia Roberts and Danny Moder; Zendaya; Shonda Rhimes, and Carla Gugino. The GLSEN Respect Awards – Los Angeles will welcome approximately 500 guests, including outstanding youth leaders and educators from around the country, raising more than $1 million in support of GLSEN’s work. For nearly three decades, GLSEN has led the way on LGBTQ issues in K-12 education through ground-breaking original research, innovative program development, educator training, student organizing, and targeted state and federal advocacy. With the development of educational resources, direct engagement of youth and educators, and GLSEN national programs like Day of Silence, No Name-Calling Week, and Ally Week, GLSEN has seen the impact of its work. Tickets for the Respect Awards are available now. For additional information, please visit www.glsen.org/respectawards.